Hollybeary Creations : FM180.. We're Rolling, Rolling.. Rolling! FM180.. We're Rolling, Rolling.. Rolling! Happy Friday.. Time for a new challenge at the Friday Mashup. This week our hostess Lynda has a fun sketch for us Mash'd up with the Marble Rolling technique. If you've been around stamping for awhile you know it if not it's a fun way to create a unique background. 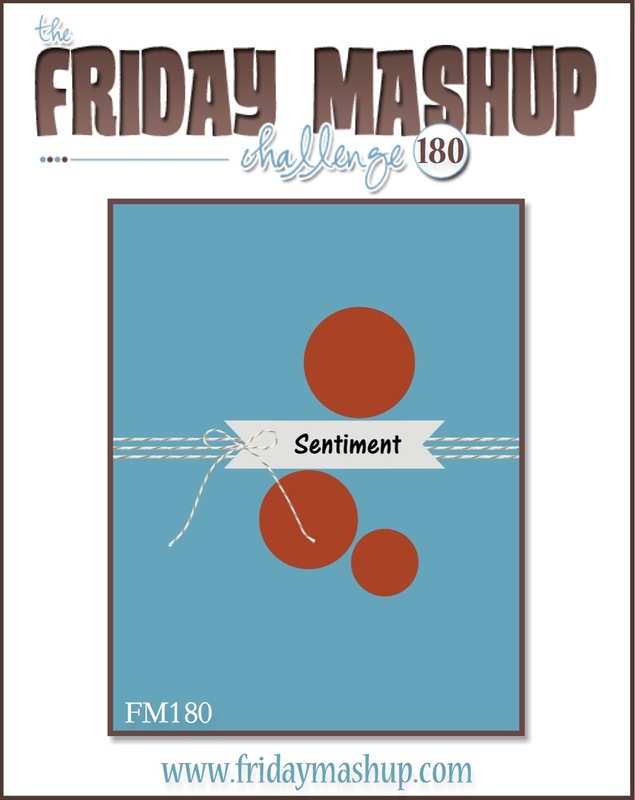 You can find a link to a tutorial on the Friday Mashup Blog. 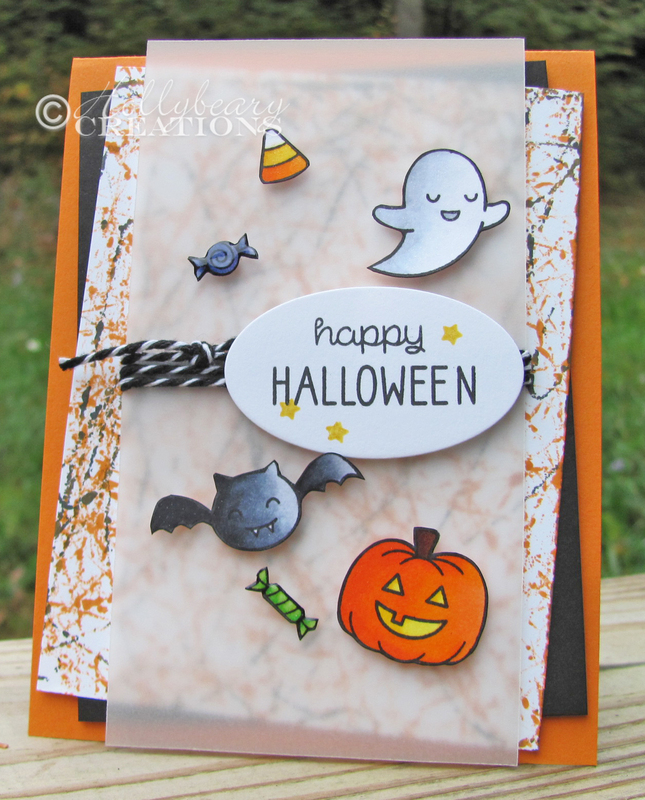 I created a fun Halloween card using Lawn Fawn's Spooktacular set. 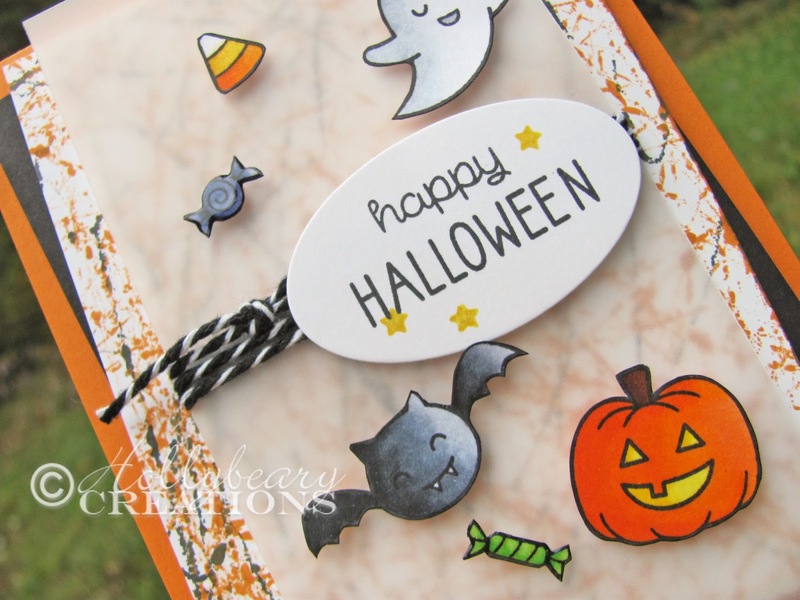 I rolled the marbles in Black & Pumpkin Pie inks to create a patterned panel. I felt it was a bit too bold for my images so I added a piece of Vellum card stock over it to soften it up some. I colored the images with Copics and added some Clear Wink of Stella to them... I also added some Glossy Accents to the pieces of candy. I adhered everything dimensionals and hide some additional dimensionals behind then to adhere the vellum. This came out super cute.. this is a great Halloween set! Head over to the Friday Mashup Blog and see what the other Design Team members created with the sketch and this fun technique. Inks: (Memento) Tuxedo Black, Pumpkin Pie & Daffodil Delight (SU) & Copic Markers. Holly, this is fantastic with the vellum over the two toned marbling! It has such an artistic flair to it. TFS!